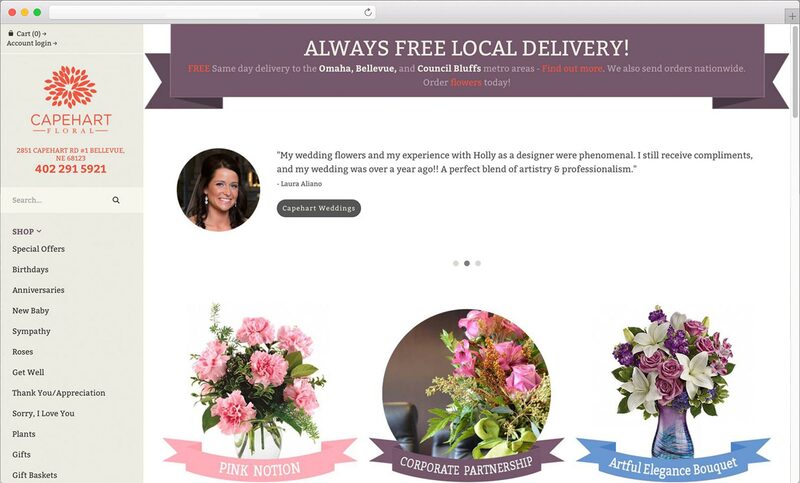 We built an ecommerce website that takes orders for delivered flowers to the great Omaha area. Capehart wanted to create their own market by building a quality website and relationships with customers. CAPEHART IS CURRENTLY UNDERGOING A STRUCTURAL REORGANIZATION AND THEIR SITE IS TEMPORARILY DOWN. 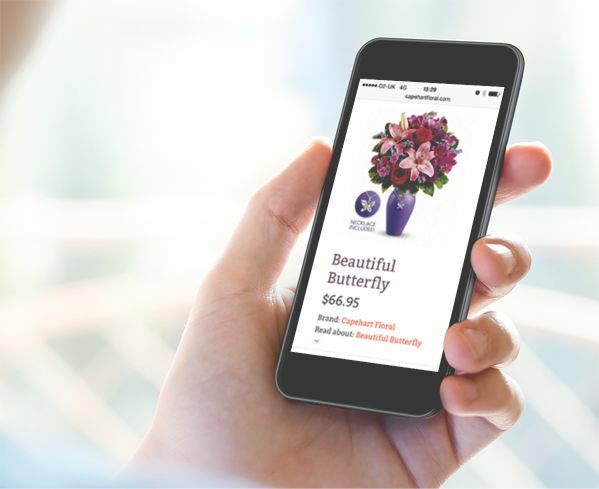 We managed the entire digital marketing presence for Capehart Floral. The floral industry is tightly controlled by third parties who take up to a 30% or more commission on their orders. We helped Capehart build a strong customer base, and one that’s not controlled by the flower industry. This provides huge benefits and savings to Capehart and their customers. Who needs an app? The Capehart site was built to work on all devices! In addition to our standard social media and web photography, we capture all product photography for custom arrangements. We process the photography, create quality copy for the product descriptions, and get the products added to the website to display for purchase. All nice and tidy!